HTC today unveiled its latest flagship Android smartphone, the One (M8), and now we’ve got the lowdown on exactly where and when it will be available. Taking a page from Apple’s playbook, the handset will be available online in the US later today through the following carriers and online retailers: Amazon, Appalachian Wireless, AT&T, Best Buy, Bluegrass Cellular, Car Toys, Cellcom, Chat Mobility, Cincinnati Bell Wireless, Costco, Military Exchange, Net10 Wireless, Pioneer Cellular, RadioShack, Sprint, Verizon Wireless and Walmart. If you’re living in Canada, the device will be available online through Best Buy, Bell, Costco, Future Shop, Koodo, Rogers, SaskTel, The Mobile Shop, The Source, T-Booth, and TELUS. 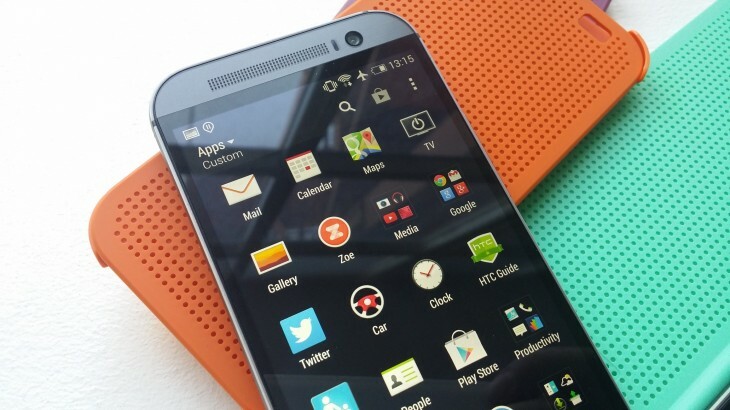 The HTC One (M8) will then go on sale in-store on April 10 for both markets; that same month, it will also be available to buy through T-Mobile both in-store and online. Engadget reports that Verizon will have the handset in-store today from 1pm ET, although we haven’t had that confirmed just yet. In the UK, the HTC One (M8) will be available even sooner. The company said it will be stocked in a number of London high-street stores today at 4pm GMT, including Carphone Warehouse, Phones4U, Vodafone, EE, Three and O2. A wider roll-out across the UK will also begin today, although the timeframe for nationwide availability wasn’t given. It’s unclear when the HTC One (M8) will be available outside of the US, UK and Canada, although the Taiwanese smartphone maker did provide a comprehensive list of operators and partners for Europe, the Middle East and Africa, as well as China and the Asia-Pacific market. Read Next: HTC One (M8) hands-on: Will a bump in specs and better camera performance really be enough?